A free whooping cough booster will be brought back for toddlers next month, the Federal Government has announced. 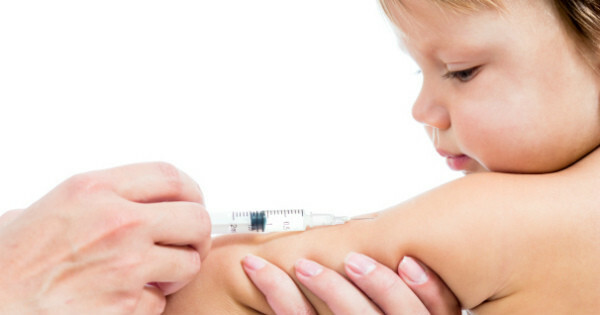 The free vaccination will be available from March 2016, with the hope that the increased immunity will combat a rise in cases across Queensland. The government axed the free booster shot for 18 month olds in 2003, forcing parents to pay for the booster shot themselves. The Sunshine State is in the middle of a whooping cough surge, with five times as many cases brought to doctors in some regions, compared to the same period last year, Nine News reports. Queensland’s opposition health spokesman, Mark McArdle, says the rise in cases can’t be disregarded. Pregnant women can now also receive a free whooping cough booster shot in the third trimester of pregnancy. It is recommended that all adult family members likely to have contact with a newborn be vaccinated at least two weeks prior. Catherine Hughes, mother of baby Riley who died after contracting whooping cough as a newborn in March 2015, has become a passionate vaccination advocate since her son’s death. “If I had been offered a whooping cough booster during pregnancy, there is a good chance Riley would still be with us today. Whooping cough boosters are now free for pregnant women in their third trimester in Australia, and recommended in every single pregnancy,” she says on the Light for Riley Facebook page. “Antenatal care providers need to be recommending these boosters to every single pregnant patient. Antenatal hospitals need to have midwives who can vaccinate available, and not send people away to their GP, as this can lead to confusion or people forgetting. Anybody who has close, regular contact with a newborn also needs to make sure they are up-to-date on their vaccinations,” Catherine says.